Interested in What it Takes to Run a Toboggan? Do you know About "Beacon Park" at Alpental? Beacon Park is a self directed transceiver search practice area near the Alpental Ski Resort. Bring your transceiver and probe (if you don't have a probe, fixed length probes are available). The park is East of, across the road from, the main Alpental Ski Area parking lot. A control box is located on a pole on the right hand side, about 25 feet uphill. The control box allows you to select easy, medium, and expert scenarios (e.g. single and multiple burials). When you find a victim with your probe (please no digging! ), a light flashes and horn sounds at the control box. When you have found all the victims, the control box will tell you how long it took to find each victim. Beacon Park at Alpental is funded and maintained by the Alpental B.A.R.K. organization (click on title or reference http://www.summitatsnoqualmie.com/Mountains/Safety/859/Backcountry-Safety). The park is open 7 days a week during the winter, dependent upon snow. The park is also used by the Forest Service, Kittitas and King County Rescue groups, Alpental Ski Patrol, and other professional guiding services. In addition to self directed use by interested individuals and groups, classes are taught on companion rescue and good backcountry practices. The classes include: proper beacon, probe and shovel usage, practice two person burials (one meter deep), and simulated rescue (recovery in 15 minutes or less). Enjoy skiing, the outdoors, and helping the skiing public? Interested in Ski Patrolling? We're looking for candidates. Now is the time to start planning for next year. Click on "Join the Patrol" under "Main Menu" and learn about patrolling and the Alpental Ski Patrol. 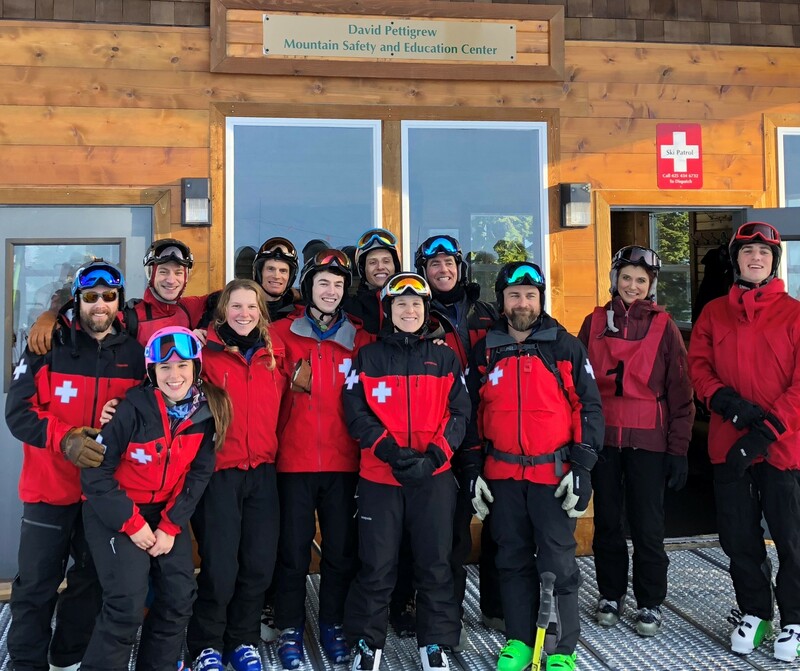 The Alpental Volunteer Ski Patrol is a 501(c)3 organization. We accept charitable contributions in support of our mission to provide education and emergency services to the skiing public. Donations may be made to AVSP, PO Box 494, Mercer Island, WA 98040.